“Inflatable duck baby pool with canopy.” “Hot selling colourful temporary full arm tattoo for men.” “Splendid reusable dog pee pad (minimum order: 500). The nature of machine learning operations mean they will actually deepen some humanitarian problematics and introduce new ones of their own. This banality of machine learning is also its power. Small grocery shop in The Jungle refugee camp in Calais, 2015. Debets/Press Association. Genetic-ancestry tests are having a moment. Look no further than Spotify: On Thursday, the music-streaming service—as in, the service used to fill tedious workdays and DJ parties—launched a collaboration with AncestryDNA. The death of a woman hit by a self-driving car highlights an unfolding technological crisis, as code piled on code creates ‘a universe no one fully understands’ by The 18th of March 2018, was the day tech insiders had been dreading. Of all the buzzy 21st-century tech phrases, “machine learning” threatens to be the most important. Programming computers is slow, but we’re nearing the point where humans give the bots parameters and let them teach themselves. Bots are everywhere. From simple algorithms and aggregator bots to complex “artificially” intelligent machine-learning systems, they have become inescapable. Some are in chat programs. In “Fragment on Machines,” Marx made the case that with investment in automated technology, which he called fixed capital, capitalism is able to reduce necessary labor time and increase both surplus labor and value. In the past few years, we’ve been deluged with discussions of how artificial intelligence (AI) will either save or destroy the world. Self-driving cars will keep us alive; social media bubbles will destroy democracy; robot toasters will rob us of our ability to heat bread. Computer algorithms have gotten much better at recognizing patterns, like specific animals or people's faces, allowing software to automatically categorize large image collections. But we've come to rely on some things that computers can't do well. Ever since Microsoft's chatbot Tay started spouting racist commentary after 24 hours of interacting with humans on Twitter, it has been obvious that our AI creations can fall prey to human prejudice. Now a group of researchers has figured out one reason why that happens. This story is part of our special coverage, The News in Crisis. When Republican Steve King beat back Democratic challenger Kim Weaver in the race for Iowa’s 4th congressional district seat in November, The Washington Post snapped into action, covering both the win and the wider electoral trend. Last year, Stanford University published a study confirming what many of us may long have suspected: that your computer can predict what you want with more accuracy than your spouse or your friends. There is no sign that 2017 will be much different from 2016. Under Israeli occupation for decades, Gaza will still be the biggest open prison on Earth. In central London this spring, eight of the world’s greatest minds performed on a dimly lit stage in a wood-panelled theatre. An audience of hundreds watched in hushed reverence. I will deliver this 4-week public series at The Tate Modern throughout July 2016. Sign up! Thanks to Viktoria Ivanova for working with me to achieve this. Data is the lifeblood of today’s economic and social systems. Drones, satellites and CCTV cameras capture digital images covertly, while smartphones we carry feed data packets into the cloud, fought over by corporations and governments. How are we to make sense of all this information? Who is to police and distribute it? And what kind of new uses can art put it to? This four-week series led by writer/artist Daniel Rourke will explore the politics and potential of big data through the lens of contemporary art and the social sciences. Participants will assess the impact the digital revolution has had on notions of value attached to the invisible, the territorial and the tangible. We will look at artists and art activists who tackle the conditions of resolution, algorithmic governance, digital colonialism and world-making in their work, with a focus on key news events yet to unfold in 2016. Session 1 Hito Steyerl: Poor Image Politics In this first session we will examine the politics of image and data resolution, with special attention to the work of artist Hito Steyerl represented in the Tate Collection. How do poor images influence the significance and value of the events they depict? What can online cultures that fetishise poor quality teach us about the economics and autonomy of information? Is being a low resolution event in a field of high resolutions an empowering proposition? Session 2 Morehshin Allahyari: Decolonising the Digital Archive 3D scanning and printing technologies are becoming common tools for archaeologists, archivists and historians. We will examine the work of art activists who question these technologies, connecting the dots from terroristic networks, through the price of crude oil, to artefacts being digitally colonised by Western institutions. 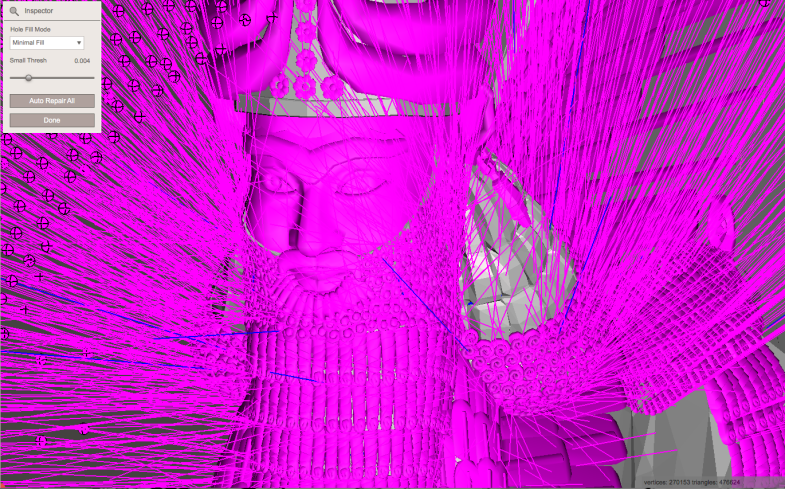 Artist Morehshin Allahyari will join us via skype to talk about Material Speculation: ISIS – a series of artifacts destroyed by ISIS in 2015, which Allahyari then ‘recreated’ using digital tools and techniques. Session 3 Mishka Henner: Big Data and World Making In this session we will explore the work of artists who channel surveillance and big data into the poetic re-making of worlds. We will compare and contrast nefarious ‘deep web’ marketplaces with ‘real world’ auction houses selling artworks to a global elite. Artist Mishka Henner will join us via skype to talk about artistic appropriation, subversion and the importance of provocation. Session 4 Forensic Architecture: Blurring the Borders between Forensics, Law and Art The Forensic Architecture project uses analytical methods for reconstructing scenes of war and violence inscribed within spatial artefacts and environments. In this session we will look at their work to read and mobilise ‘ambient’ information gathered from satellites, mobile phones and CCTV/news footage. How are technical thresholds implicated in acts of war, terrorism and atrocity, and how can they be mobilised for resist and deter systemic violence? Really, really racist. The thing is, this was all very much preventable. I talked to some creators of Twitter bots about @TayandYou, and the consensus was that Microsoft had fallen far below the baseline of ethical botmaking. What makes us different from all these things? What makes us different is the particulars of our history, which gives us our notions of purpose and goals.